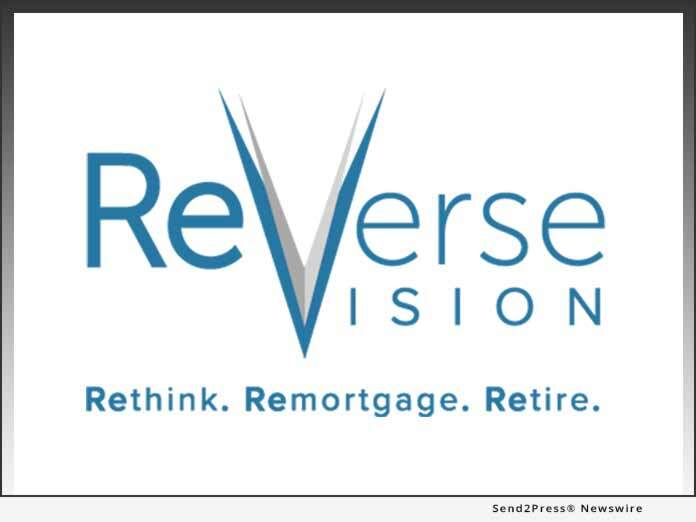 SAN DIEGO, Calif., Mar 14, 2018 (SEND2PRESS NEWSWIRE) -- ReverseVision, the leading provider of technology and training for the Home Equity Conversion Mortgage (HECM) industry, attracted a record crowd of industry newcomers to its third annual user conference February 6-8 at the Kona Kai Resort and Spa in San Diego. More than 80 companies attended ReverseVision's User Con 2018 event, which garnered increased attendance by "new to the industry" participants seeking to bolster their book of business with HECMs and related products. The conference's opening session, dubbed "Generational Lending," was designed specifically for these industry newcomers. After debunking the common myths that still plague HECM lending, the session showed how HECM products help lenders grow long-term customer relationships by rounding out a portfolio of products relevant to each stage of the customer's life. Registration for this year's Generational Lending session more than tripled that of the previous year and included representatives from depository banks looking to learn more about the HECM product. Other conference sessions covered a variety of subjects geared toward strengthening attendees' HECM lending endeavors in 2018, including industry outlook, compliance, security, sales strategies and ReverseVision technology. One of the top-rated conference sessions was delivered by Jim Cameron, senior partner at mortgage industry advisory firm STRATMOR Group. Cameron shared exclusive data insights comparing today's forward and reverse lending markets and highlighting the opportunity represented by the millions of Baby Boomers who will reach the age of HECM qualification in the coming years. In addition, Cameron's findings shed light on the number of borrowers over 62 that could have benefitted from a HECM had it been offered as a loan option. "RV User Con is a game changer for UNMB's reverse mortgage business. Sponsoring this year's conference gave us the valuable opportunity to get in front of potential job candidates and network with our peers in the industry," said Elly Johnson, COO and Vice President of reverse lending for United Northern Mortgage Bankers (UNMB). "We were pleased with both the turnout and the informative conference content, which left us with a greater understanding of ReverseVision's products as well as industry trends and expectations." Johnson shared her expertise with User Con attendees in a panel session on modeling and selling HECM purchase loans and proprietary reverse mortgage products. UNMB was also featured in the conference's open General Lending session. Also very popular among attendees was a special session led by Bob Massi, owner of Massi and Massi Attorneys at Law and better known to many as "The Property Man" on Fox News. Massi painted a compelling portrait of Baby Boomer homeowners and supplied session participants with specialized guidance on how to approach this unique and growing demographic about HECM loans. Following Massi's session, a panel of experts discussed proprietary products and why lenders might find them an attractive alternative for some of their more unique borrowers. "ReverseVision was honored to welcome many new faces to our third annual conference," said Wendy Peel, vice president of sales and marketing for ReverseVision. "We are proud to equip new and experienced HECM originators alike with the sales tools and holistic strategies they need to maximize their HECM business and keep customers for life." ReverseVision has already begun planning its next user conference, which will return to San Diego in 2019. Early registration is recommended to secure attendance. Attendees and ReverseVision customers are encouraged to view handouts from this year's conference by visiting https://www.reversevision.com/handouts.